This guide assumes you are familiar with the Heroic version of the fight. As such, I won't discuss how Heroic mechanics work, and will focus exclusively on the Mythic mechanics, changes, and strategy. If you need a refresher on Heroic mechanics, click here. As with most bosses, once you overgear the fight, you might be able to drop to 4 healers. Toads should be soaked when possible. DK’s with AMS, Pallies with Bubble, Pallies with Spellwarding, can all soak the Toad spawns before they leave the boss. This both minimizes the amount of gunk on the ground, and prevents other people from needing to deal with dodging the Toads. Soak as many sets as possible. Don’t bother wasting time and DPS on the Serpent Totem. Just move away from them. The Aura of Death debuff now has a 12s duration. Recommend bringing 2 Shamans. Tremor Totem breaks the MC immediately. However, the Boss’s totem will re-cast the MC, so you do still need to kill it. Also recommend everyone keep CC abilities on CD. Example - Shadow Priest Silence. It’s not needed any time the MC totem could appear, so keep it on CD. When MC’d, you’re defaulted to use CC abilities on the raid. Having them on CD prevents this. Prot Paladin’s can solo-tank Bwonsamdi, eliminating the requirement to tank swap. This requires careful timing and planning, and a Resto Shaman with Ancestral Protection Totem. Caress #1 you don’t do anything special. Use AD if necessary. At some point as you continue gaining stacks, you’ll eventually die, most likely before the 4th Caress. To manage this, have your Resto shaman come and drop their Ancestral Protection Totem under your feet when you’re at about 55-60 stacks or so, whenever the damage becomes nearly unhealable. At this point, once the totem is down, your healer should stop healing you and let you die. Immediately use the Rez from the totem and taunt the boss. By doing all of this, you eliminate the tank swap mechanic from this phase, making it significantly easier. If you have a Prot Pally geared enough, and a geared Resto shaman, highly recommend you use this. 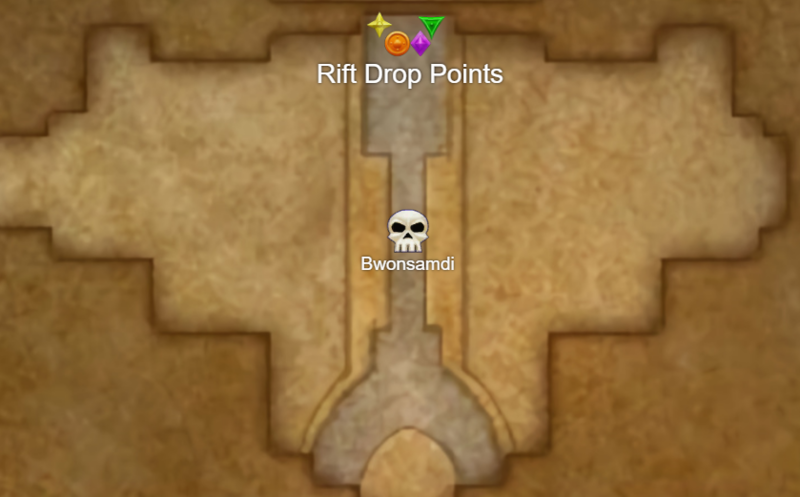 To make P3 as easy as possible, you can set up a “wall” of sorts using Death Rifts. Continue dealing with Toads and Fire in Living Realm. If using cheese strat listed above, send down all of your Ranged DPS. If you don’t have 8 ranged DPS, send all the ranged you DO have down, then send melee that do well against magic damage. Rogues, Ret Pallies who can reset with bubble, etc. Once adds die, it’s just a race against running out of room.